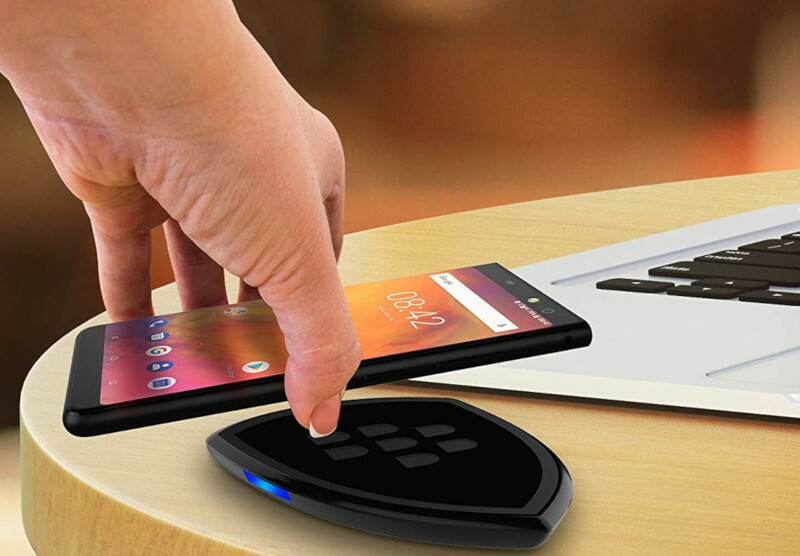 Optiemus Infracom, BlackBerry brand licensee has launched BlackBerry branded wireless charger in India. It is compatible with smartphones with USB type-C input on Android, Apple and QI-enabled smartphones that allow wireless charging. It has a non-slip charging surface the company says that it will charge upto 25% in just 60 minutes since this is just 5W. The charger comes in Black color, is backed with a 6 month manufacturer warranty against manufacturing defect and is available online on Amazon India exclusively at a price of Rs. 2,499.